• Lap/diagonal belt system: standard or All-Ages. To match original material in most vehicles. Vinyls and moquettes also available. Our Trim Development team can produce unique designs to order. A huge selection of woven cloths, moquettes, vinyls and leathers is available to choose from. 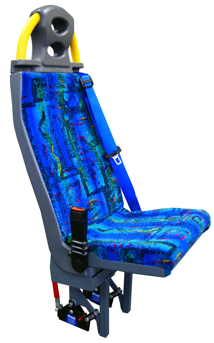 Specialist stitching, panel shaping and upholstery effects can be incorporated into your design. 1. Caution: It is not possible to test every permutation of seat width, accessory combination, leg height, position and type, or seat belt requirement. For this reason, it must be emphasised that compliance cannot be assumed where there is any deviation from the standard supply or assembly method. 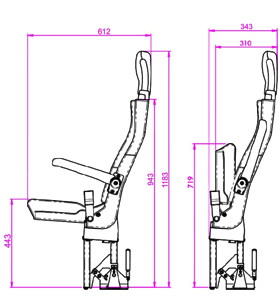 Additionally, the advantages of this product may be lost if insufficient consideration is given to the method of installation of the seat in the vehicle. 2. 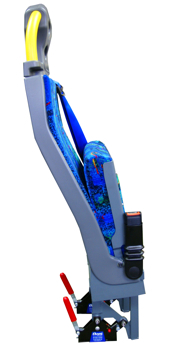 FULL compliance to seat belt anchorage regulations can only be achieved through vehicle testing. 3. Product improvement may affect specification.